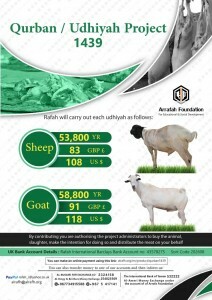 Rafah Foundation is performing qurbani/udhiyah in Tarim. 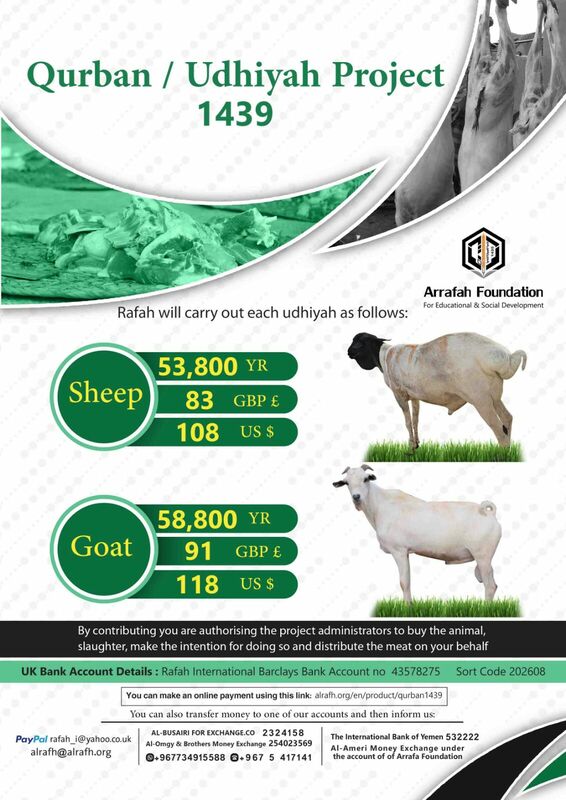 The meat will be distributed to poor people in Tarim and the surrounding area and refugees who have fled their homes in other parts of Yemen due to conflict. Rafah Foundation supports teachers, students and educational institutions and those in need and is currently providing aid to those suffering the effects of war in Yemen. By contributing you are authorising the project administrators to buy the animal, slaughter, make the intention for doing so and distribute the meat on your behalf. May Allah accept all our good deeds at this blessed time.